If you haven't checked out Stride Pro Wrestling in southern Illinois yet, I highly recommend it. Yes I am biased as I am the ring announcer for the company. But the action each month is top notch. 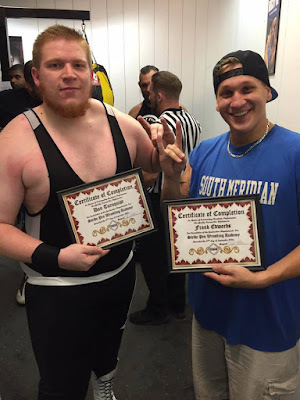 Heath Hatton is training a new crop of indy wrestlers several times a week at the Stride Pro Wrestling School and over the weekend two of his students graduated. Congratulations to both Frank Edwards and Red Daniels. Less than an hour after receiving his diploma and soaking in the cheers of his hometown fans, Red snapped. 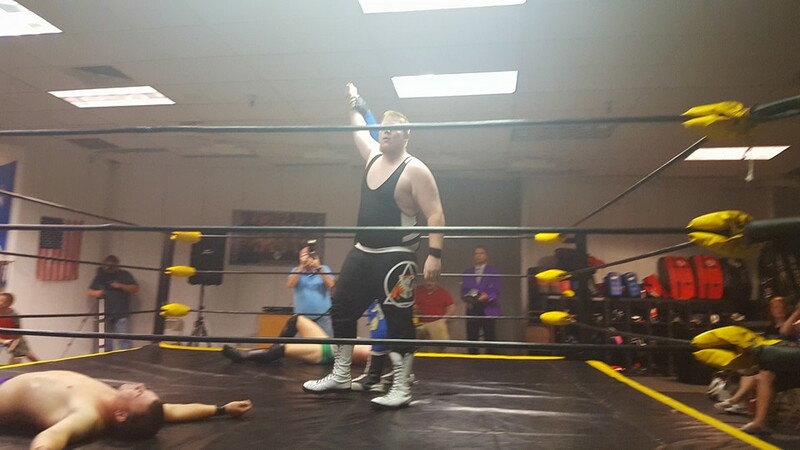 He joined former rival "The Hitman" Jake Capone in beating down the Stride Pro Wrestling tag team champions Jay Spade and Joey O'Riley. The popular duo known as Team Triple X was blindsided after Red appeared to be helping the team. O'Riley and Spade have overcome many challenges through the years. But Red's hunger for fame and fortune may lead to the demise of champs. There's no doubt Red's "good guy" persona was a front, I just don't know for how long. Not only were the champs blindsided, but so were the fans (myself included). 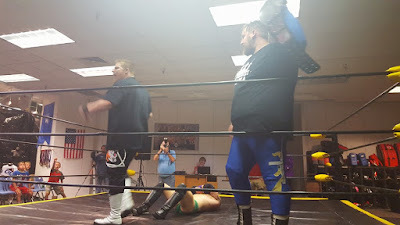 Moments after the beatdown, Capone shared a new Midwest Mafia t-shirt with Red. The two celebrated their heinous actions by holding the tag team titles proudly over the nearly unconscious champs. A night filled with celebrating the accomplishments of the last seven months came to a screeching halt as Red turned his back on those who have supported him longest. Despite being outweighed by nearly 300 pounds, don't count out Team Triple X. Spade and O'Riley will be ready for a fight. Will it be enough to overcome the hunger (some might say greed) of Daniels and Capone? Stay tuned to the Stride Pro Wrestling Facebook page for updates.